Unless you go Engineering.... or Accountant. Chuckling already, are we?! Just like some previous posts, you laugh because you know it is true. This is an old, and yet, strangely common adage of the modern Asian culture. Sadly, this is also severely damaging to the mental, emotional, and intellectual health of the Millennial Asian. Not to mention, it is a terrible limitation placed upon the career options of the millennials. Let's go back to the roots of the issue. Asian history is a rough one. After many centuries, we've discovered that doctors (and now lawyers) are spared ill will in rough times because their services are welcome on all sides. Therefore, after two generations of this pursuit, we've basically screwed ourselves out of any meaningful placement in higher education because we ALL look the same. Asians perceivably all have straight A's, do extracurriculars of a rather non-athletic nature (because brute strength is for dumb people, right? ); we all play a string instrument/piano... but, Heaven Forbid that we did anything in performing arts, especially, in acting, since only fools who can't make a living on a stage... as it is so very obvious, actors make zero money in our society. The issue is that certain flawed philosophies have been brought OUT OF CONTEXT and into the millennial age. They serve only to inject inaccuracies, fallacies, and worse, have forced our Millennial Asians to submit to conforming into a perpetuated stereotypical existence. The result? They all look the same. Which means, increased difficulty in differentiating themselves as capable candidates for higher education, for career paths, for just about anything. Because....! If everyone is special (ie super high achieving and all of the same ilk), then no one is. Didn't hear about this yet? Oh yeah... all that straight A, piano playing, math team nonsense is actually making it HARDER for Asians to get into college. See here and here. So why Doctor? Why Lawyer? Because, they have a "skill," which better translates in English to a "license." They perform services which all societies value... (kinda, *insert lawyer joke here*), and, they make a lot of MONEY. Isn't that was ultimately leads the decision making process in the cultural mind's eye? Doctors and lawyers are distinguished in the Asian cultures because they make a lot of money. This means power, position, honor, and bragging rights... particularly of and by the family. "My son is a doctor!" ... "My daughter is going to law school." And yet, shouldn't the Millennial Asian go to a school, choose a major, focus on a career path... shouldn't all that be for THEIR good? For THEIR benefit? For THEIR future? Why does so much pressure upon our poor children ultimately become about how much the parents and the family can brag... to impress people that the children may never meet nor mean a thing? Am I saying that working hard and finding a good career isn't important? Of course not! Look at me. I'm a doctor, have an MBA, and went to a UC college. That's not what I'm saying. What I AM saying is that we need to look beyond the doctor-lawyer paradigm. That doctor-lawyer-or-bust framework shouldn't be ALL we fashion our children's lives into becoming. What if they are seriously talented in music? What if they are excellent painters? What if they are great on stage? What if they like working with their hands? What if they wish to join the military and serve their country? What if they bake decadent delights? What if they are home cooks, needing a launching pad? What if they love animals? What if they have a natural ability in sports? What if they have a voice of an angel? What if they like to dance? What if they like business? What if they want to go work for themselves? What if they wish to be an entrepreneur? What if they have a natural attraction to politics? What if they DON'T WANT TO BE A DOCTOR?! What if they HATE the idea of being a lawyer? What if they just want to live a humble and simple life? What if they want to be happy? There are so many opportunities in life. So many ways to make a living. And sure, some of these paths in life don't make as much money. So what?! There is ultimately a trade off in life; an equilibrium which we meet. I've worked jobs and turned down jobs that paid obscene amounts of money. Why? Because, it took away from my family, my friends, and the fulfillment that life was worth living beyond the money. Money is something we need in life. It is a tool for us to sustain our living. Yet, it shouldn't be our sole purpose... particularly where careers are concerned. I've seen too many kids go to school to become things which were not their idea to begin with. Doctors handing their diploma over to their parents, then going off to pursue their passions. Lawyers quitting forever, because of the stress. Engineers with no interest in the math. Accountants bored out of their minds, knowing that their life's work has summed to nothing purposeful. Doctor, Lawyer, or Bust? My thoughts: If you pressure your child to become a doctor, lawyer, or anything else that really isn't the passion of THEIR life's pursuit. Then, it IS as bust and you have broken your child. Instead, we should empower our Millennial Asians to pursue their dreams. The state of our economic ecosystems isn't so fragile that only being a doctor of a lawyer will garner them any stability or leverage in life. Rather, I would offer that Millennial Asians be empowered and encouraged to pursue interests, passions, and their natural abilities... that they break out of the shell we created for them... so that they can become more than just "Doctor-Lawyer." Together, let us craft a new age. Let us encourage school, career, and achievement to be about them... about our kids. About the Millennial Asian and their own life choices. Trust me, they will keep the work ethic and the values you've brought them up with. Through this freedom, they will become more... in fact, they will surpass the paradigms and completely surpass what we were and are. They will become a new generation: Millennial Asians... a generation with no limits! Now, you're probably wondering why I'm sharing this video. You're probably thinking something along the line of, "Hasn't he been super critical of Asian culture?" And, you'd be right! I am critical of the culture (where it needs fixing); I am, however, severely proud of the heritage. I am proud (amongst many other great things about it) that Asian heritage largely includes a larger than life loyalty to family. Now, it isn't all families to which this is the case. However, it is a common story as we have observed from above. This is where I want to encourage our children to recognize the perspective of the parents. They are struggling as much as you are, being that they are raising the Millennial Asian. However, compared to many other cultures, the garden variety Asian parent is likely to sacrifice more than the average bear. They will pay for your school... many times over. They will pay for your car, even though they can't afford it. They will sacrifice their careers. They will gift you with many things. And, they will probably give you more attention than you can stand... ironically it's not the exact form of attention you want -- but, hey, they are trying. They will do this and more because they feel compelled to... that it is the right thing, the moral, and the ethical thing to do. They feel that there are no other alternative in which to treat nor care for you as a parent than the manners to which they are doing now. Sure, it may come with some cultural idiosyncrasies if not destructive patterns... patterns which I've mentioned in the past and will continue to elucidate. Still, in all situations, someone needs to take the first step. And, this time my fellow Millennial Asian, it is you! This blog is all about Counter Cultural Empowerment. It is here to bring light to situations which require change and to recommend solutions on how to keep the good parts of our Asian culture while letting go of some of the less positive elements of it. Today's challenge: Go thank your parents for their sacrifice. Do it now -- immediately, in fact! Do it without any intentions. Just go, and thank them. Another barrier to which the Millennial Asian must grow up with is a psychological environment where there is very little reward, high anxiety of punishment, and a truly negative outlook to which good achievements are but simply and ordinarily expected. This is so accentuated in the Asian culture to which I posted a related meme in another post which I'll share with you again. Yet, if you were to bring that 99% back to so many other cultures of parentage, you would get reward, encouragement, pride, affirmation, affection, and love. So, why not the same for the Millennial Asian? 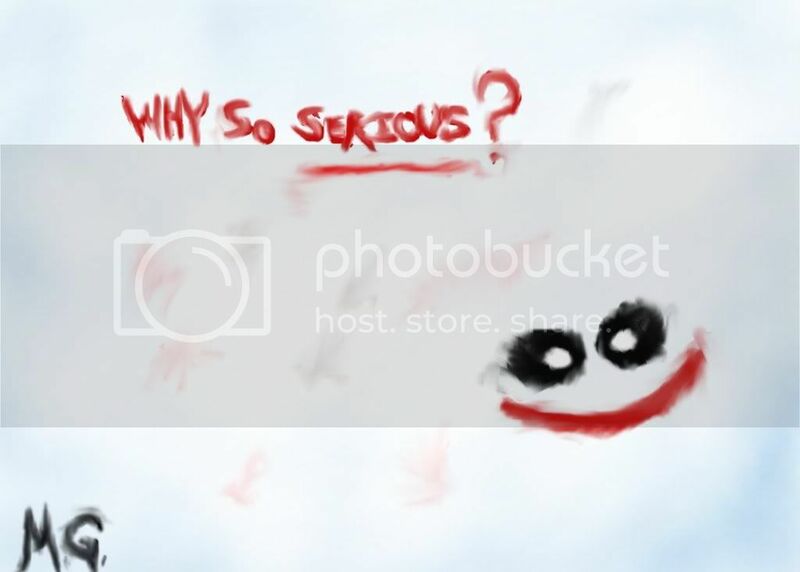 WHY SO SERIOUS!? Sadly, this negative approach goes against the basic tenets of behavior and psychology; we're talking about terms like "Positive Reinforcement" and "Negative Punishments." A reinforcement is a construct that will increase the frequency of behavior. A punishment is a construct that will decrease the frequency of a behavior. A positive is the addition of said construct. A negative is the removal of said construct. What I recall from my psychology days is that Positive Punishments and Negative Reinforcements tend to elicit the weakest response. In other words, punishing someone by giving them something they don't want can cause more problems (ie. hostility/resentment). Similarly, rewarding someone by taking away something they don't want can lead to more problems (ie. a pattern of bribing). Yet, how often do we see this? If you don't do well, you have to do 100 more practice problems! If you don't do well, I'm going to send you to Saturday SAT prep school! If you do well this time, you don't have to do your chores. If you do well this time, you don't have to read the extra chapter. Rather, I implore that the Millennial Asian needs to be regarded with POSITIVE REINFORCEMENT and NEGATIVE PUNISHMENT. Give them what they value and remove from them in kind if they are misbehaving (not likely... ha!). Seriously? A Millennial Asian misbehaving under the kind of pressure they are currently experience? If they were, the parents probably have already disowned them. AND, YOU'RE LAUGHING! Only because it's true, and you know it. SO! Don't be so negative. Be positive! Regard the Millennial Asian with the emotional languages they need for growth and development. Make them feel valuable as human beings; they are watching, after all. They are watching when other parents give their children loads of positive affections for barely scratching a B-. They are noticing that even when they get 100% or 105% with extra credit... you barely give them a glimmer of pride or acceptance... for fear that even that amount of praise would send them into a downward spiral of laziness. NO! You've taught them better than that. If anything, they will come to respect you more. They will work even harder. And, MAYBE, they will come into their own as productive members of society... after all, that's what you wanted to begin with, right? Something that has both infuriated me and broke me of late is the noticeable pattern that young Millennial Asian males do NOT want to make ANY decisions. It really got to me when several of the people I was mentoring demonstrated such resistance to making any decisions in life. EVER! What is so tragic about this situation is that, here are amazing young gentlemen; great people with sharp brains and a fun personalities... living in fear of making decisions. WHY?! Because, everything is graded. Your life is judged by the expectations of the culture, by the expectations of your parents, by perceived expectations of those around you and even that of yourself. A decision has been taken into a framework as a life question on an exam. Getting it wrong brings existential shame.... that it would've been better not to have existed. Getting it right... well........... that's how it's SUPPOSED TO BE. You're supposed to be always right. You're supposed to get 100% on every exam. You're supposed to be an honor student, piano wiz, mathlete representative, and science fair blue ribbon. *UGH* Just read the line above... one more time. Does that make ANY sense? Do you feel this is a reasonable collection of achievement for any single child? I say no. Sure, we pressure and force and bully our Millennial Asians to do this. But, it isn't right. It isn't healthy. AND, it isn't beneficial to the least. The result is broken young people who live in fear of making decisions for fear it is the wrong one. Life shouldn't be about fear of what may go wrong. Life should be about eager anticipate of the dreams that can come true! Negative frameworks will lead to negative lives. Positive frameworks will lead to positive lives. I choose to be positive! I've always held that culture and heritage are tremendously different. Culture is who you (or a people group) identifies as, in the present. Heritage has to do with the history... the past which made your present. Both are important. However, it is important not to mix them up. One of the greatest sadnesses which I experience as a mentor is when Asian kids are mixed up in the head in this regard. They live an Asian style life amongst a culture which is not their own. They are neither accepted by the surrounding culture nor their hereditary culture. For my childhood, I was too Asian to be American and too American to be Asian. But, honestly, this barely touches the scope of it. The REAL concern is the culture of shame. Guilt, loss of honor, loss of face... loss.... it's ALL loss, no gain. All negative, no positive. There is rarely ever even a hint of positive reinforcement, rewards, or recognition. There is only shaming. And, this occurs so stereotypically.... with grades. An Asian kid comes home with a test score. They were the top of their class. Their grade, 99%. Their parents' response? You're laughing NOW.... but the sad thing is, that this is REALITY for many! Don't think so? Don't really hear about its commonality? That's because it is too SHAMEFUL to talk about it. They don't belong! They don't belong at home. They don't belong at school. They don't belong with friends. And, they don't belong at work. They have no place to call home because home is not loving, accepting, nor welcoming (see the story of Mira Hu who ran from home). It is only tolerant of the fact that they are the highest performing amongst their peers... but, still, that isn't good enough for a pat of the back. Or even, a "good job." Millennial Asians: Too Asian To Be ___, Too ___ To Be Asian. There are some truly valuable and worthwhile aspects of Asian heritage which should be separated from current cultural pressures. How do we do this? What do we do about things like work ethic and honoring the family? I'll be talking about this and more in up-and-coming posts, here, on the Millennial Asian blog. Stay tuned! We all know the reasons why. They kill your eyes... make you blind. They make your brain stupid. They distract you from homework. They don't put rice on the table. They won't give you a job. But, let's make something crystal clear. Video games are a HUGE. Money Making. Industry. Halo 4 made over $200 million USD in the first day of sales. Call of Duty: Modern Warfare 3 made $775 million USD. Here's a list of some of the best selling games of all time. Suffice to say, these games tend to sell for $60+ USD per copy and we're talking 20+ million copies sold for each listed. That means these video games gross into the BILLIONS of United States DOLLARS. So.... yeah. They are NOT a waste of time. It's a billion dollar industry and is worth consideration of getting into. More than that, video games are also being used in healthcare... for physical rehabilitation and even surgery. Pretty soon, it will become the single most disruptive force in just about any industry and level of higher learning. If there is ANYTHING evil about video games, it's that it keeps kids indoors.... sitting on their butts, not being physically active. So, if there is ANY reason for the parents of Millennial Asians to be pissed off about their kids playing video games... the reason should be that video games rob their children from EXERCISE. Otherwise, encourage Millennial Asians to pursue a CAREER in video games. If they love it so much, they might as well make a living from them! Heck.... they'll probably make more money than me. And, I'm a doctor! Some of the most influential people of all time were (and are) counter cultural. One of my favorites: Bruce Lee. Bruce Lee and many other innovative thinkers of their time were all about keeping the good, rejecting the bad, and shaping the situation to suit individual and/or situational needs. The philosophical approach is being agile and adaptive; that there must be rhyme to the reason. Things done out of principle can quickly lose their context... and thus, purpose. And, context is severely important when it comes to the needs and struggles of Millennial Asians. The life lesson I want to share is the ubiquitous Asian cultural value of WORK ETHIC. It is a rare thing to see Millennial Asians being parented in a manner which remotely tolerates "being lazy." Of the many values of Asian heritage, having a strong work ethic is one of the best attributes to keep. Work ethic is a strong predictor of success in business. It is also a fair predictor of collegial acceptance as well as financial stability. However, for Millennial Asians, we need to make sure we're letting them know WHY they work so hard. "To get into a good school (college)" isn't enough. They need to understand and value the end goal! Also, whatever they are being encouraged, forced, or bullied into working for... it must have direct purpose. Playing piano? Practicing violin? This needs to be purposeful. If they aren't going to use that down the line, why even do it? If they are, parents must support their Millennial Asians so that they don't feel frustrated that their lives are but meaningless labor... suffering... delayed gratifcation with no true gratification. The Bruce Lee life lesson about Work Ethic is this: Keep it. Work HARD. Labor. Endure! But, do all these for specific, clear, and tangible purposes. In doing so, the Millennial Asian will be doubly rewarded for their efforts and will be encouraged to continue working hard, all the days of their lives. The most common mistake I see during my mentorship sessions is a conflict of being Process Oriented vs. Goal Oriented. Mind you, there is NOTHING wrong with being process oriented. In fact, I am personally very process oriented. One of my biggest passions is nothing but process: cooking. Yes, I love the process of cooking. In fact, mimicking gourmet cooking is one of my favorite processes -- particularly when there are many steps for a difficult and technical recipe. I absolutely relish the process of cooking and making a perfect dish. However, when it comes to career goals, we have a problem. In many Asian countries to where the parents of Millennial Asians came from, the schooling-career pathway was much more connected. In other words, the process to care of itself. You took an SAT of sorts, placed with a school, took another test, placed with another school, took another test, placed with a college, and finally a career. It was a straight shot from school to grades to work. That's how it worked in the "motherland." Good grades meant good schools with high rankings. Good schools with high rankings meant good jobs. It was that simple. Sadly, it is NOT that simple in many other areas of the world and is quickly becoming just as complicated back in the "home country." The school, the degree, and even the grades are not translating directly into stable jobs. It is translating even less when it comes to getting into those ranked schools.... when considering medical school or law school, etc? Forget it! There's an entirely different system at play which is NOT compatible with the old Asian culture's way of thinking. In fact, this has even spawned the formation of private academic and preparatory counseling companies which specialize in making their candidates LESS ASIAN! Why? Because it's more likely for the Millennial Asians to get into schools. In all cases, the lesson remains: It's not what you know, it's WHO you know. So how does this help us Millennial Asians? It helps us because we form an accurate and mutual understanding of the situation. See, in business, a situation analysis is done before and after ANY strategic move. The same should be done for life, especially when it comes to career paths. If school is a prerequisite for further schooling, then it is very important. If a particular major, ranking, or certification is required for a job, then it is very important. However, if such things are not so important, then the precursors are basically worthless. And with the end goal in mind (ie. independent living, job, financial stability), we end up with different courses of action. Oh, you're going to college? Which college? I want to be a professional musician. So go practice every day, win competitions, learn from the best, get professional exposure. Aim for Juilliard, get ready to land in Open Mic. Okay! I guess we need to buy an instrument. Yep, I guess we better. So! What's the End Goal? If your goal is to drive to Disneyland, a reasonable person would take a direct route. It would only be an unreasonable person who would first detour to some place (say San Fransisco) miles away only because everyone else did it... only because it was the cultural thing to do. The most reasonable course for anyone is to take a direct route to their end goal. However, to do this, your end goal must be clear. If you wish to become a nurse, don't go get a 4-year-degree and THEN you're BSN. Just get your BSN. Don't just be a "Bio Major" because that's the thing to do. EVERYONE ELSE IS A BIO MAJOR. You think you're special? Of course you're not. No "duh" that no medical school will begin to look at you... you look like everyone else. If you want a chance, you must stand out as unique, valuable, and innovative. You must have the end goal in your sights, and, never deviate from that cause. How do we solve this strife that Millennial Asians suffer from when it comes to school, career path, and this existential shame? Empower them to pursue their end goals DIRECTLY. This requires that the millennial and the parenthood understand AND agree. It means that both sides need to drop their pride and sense of "duty" to the culture. The duty in life isn't to the culture. The duty is to EACH OTHER! After all, you're family, aren't you?! It's prime time you acted like it. This first post is about school. Surprising, huh? I'm coming at this from the perspective of a mentor. I mentor a lot... for lack of a better term, I'm a life coach of sorts. It's part of my professional persona as a Doctor of Physical Therapy. And, it's also part of my role as a strategic consultant in business. I coach people (or businesses) to become better than they are now. Sadly, when it comes to those I mentor who identify as Millennial Asians (MAs), we seem to get stuck on something... a topic that keeps recurring to which I take insurmountable energy trying to coach people away from. SCHOOL. There was one time at a family gathering where several of my cousins (for sake of simplicity... they're cousins) chatted energetically for three hours on JUST SCHOOL. JUST SCHOOL! It was crazy. My wife couldn't believe it. Noted, my wife is of an American-French-Canadian background. This wasn't part of her upbringing. But, hearing 15-35 year olds have a legit conversation for HOURS on just school. It was shocking to her. Moreover, the last several months, I've been seeing an increased trend of Millennial Asians completely stuck in a rut. They want to do good in school but can't. They want to get into good colleges but can't (since the system is biased against them). But, why school? What about school is so important? School doesn't mean you'll get any better of a job. School doesn't mean you'll live a life of true meaning... of significance. School doesn't mean you'll have financial stability. SCHOOL MEANS NOTHING BECAUSE KNOWLEDGE MEANS NOTHING. The ability to apply means everything. And to such point, how many friends have you heard of graduate with a 4-year-college-degree and end up working a job which they could've worked as a high school graduate? PLENTY. How many are doing things completely unrelated to those college degrees? PLENTY. And, there have been repeated articles and blogs citing articles that medical doctors actually don't make that much more than any other profession over the lifetime of their career due to all the other associated expenses to a point where their hourly rate is actually only mid-$30s/hour. To make matters even more emotionally inflamed for me as a mentor, I find that kids keep going back to the ancient Asian value of "do good in school, get a good job, make lots of money." Is that what life is all about? REALLY? Is there no personal pursuit? Do you have no actual personal goals? Are you just a shell of labor? If that's the case, financially speaking it would be easier not to have children to make up for that investment. It's absolutely ludicrous to even think this way, as if the goal, being a job/money is the case -- then one should be thinking WHAT JOB do I want? What career path? Think backwards. Think on what is required for what industry and THEN make a choice of schooling. Going to school for the sake of going to school is folly. It is a waste. Is not wastefulness to be shunned in Asian culture? So..... this first stop... about school. What I have to say is this. If anyone has had enough schooling, it's me. I've done undergrad and completed two graduate programs. I graduated with honors twice, mind you. And, I've been in the position of a hiring manager -- so I'm telling you, it's not about the school that will get you a job. It has to do with you as a person. DO I WANT TO WORK WITH YOU? Your grades don't have anything to do with it, neither does the school you went to. It has to do with YOU.... the human sitting in front of me who I am interviewing. So, enough of this. I know this first post is a bit of rant. But really, I just had to. I've been so fed up with how many families and how many lives the Asian culture has destroyed that I was compelled to create this blog. I'm Ben Fung and I am Counter Cultural. Until next time! PS. I'm typically quite a positive figure. If you know me from my primary blog, you'll know that to be true.